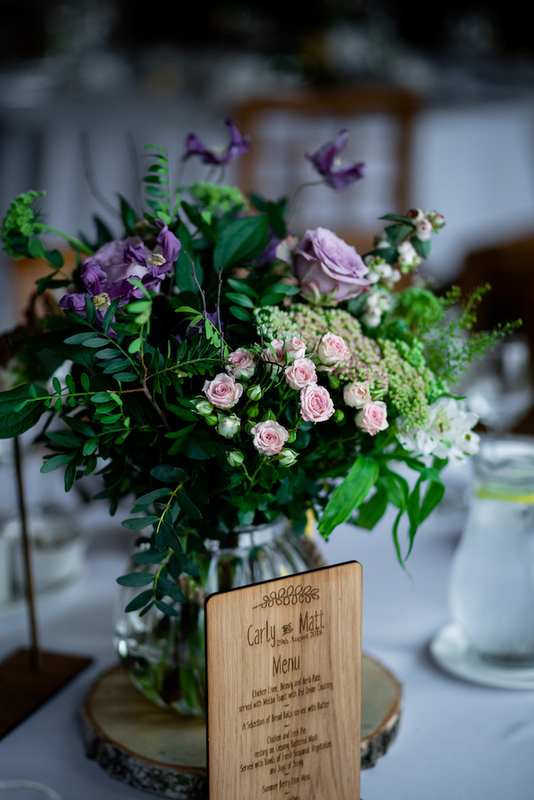 Carly and Matthew’s wedding theme was rustic, nothing too prim or proper, for their rural wedding. They wanted flowers to fit; simple, natural and very pretty. 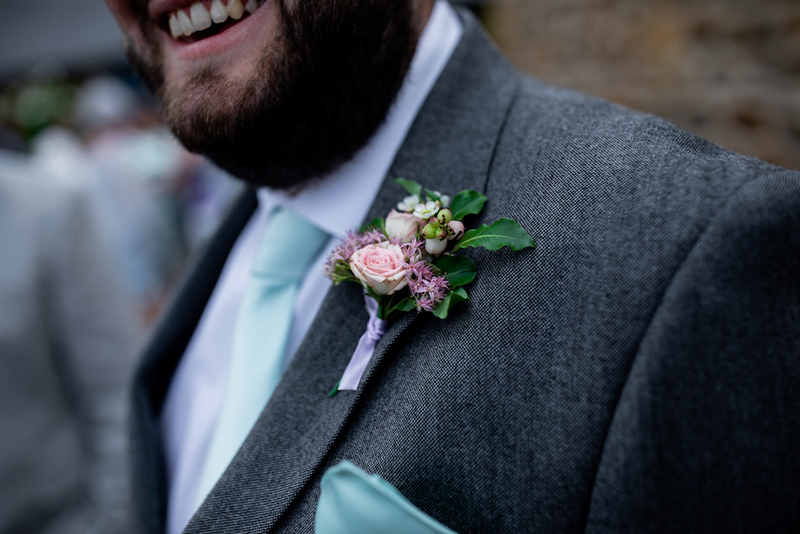 The couple chose Dodford Manor in Northampton for their family celebration. 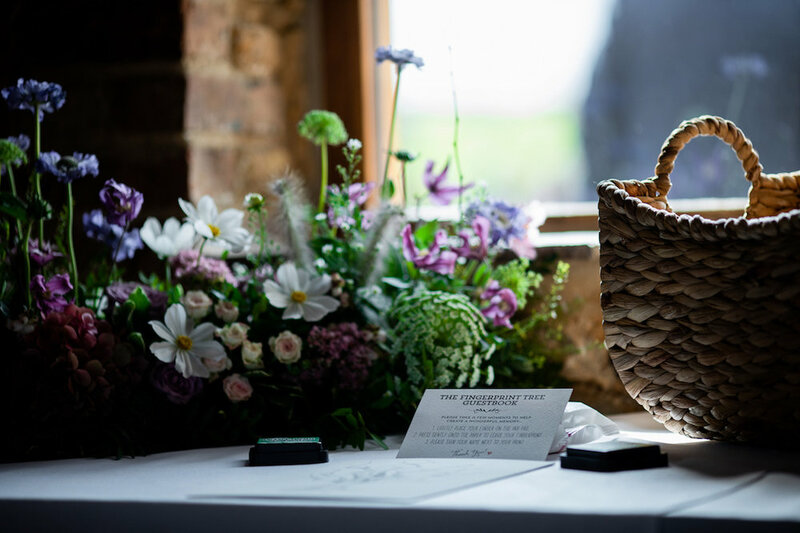 A fitting venue for lovers of the countryside, a large and light converted barn in a beautiful estate setting. Plush but relaxed were the themes of the day. Carly particularly wanted a scenic and seasonal design, a gentle nod to the timing of this late summer wedding. No flowers were to be forced or made to conform! 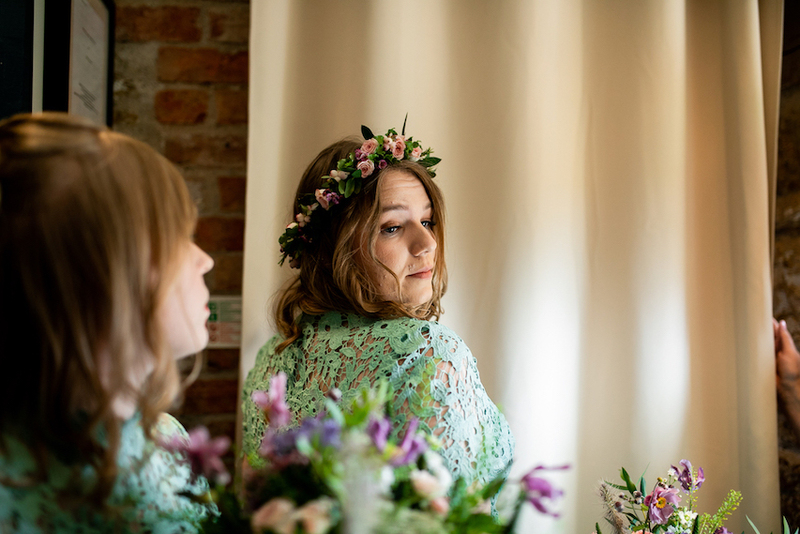 Rural and elegant, the design took on a “flower fairy” feel; pretty and delicate, lilacs, creams and pinks with lots of complementary greens. 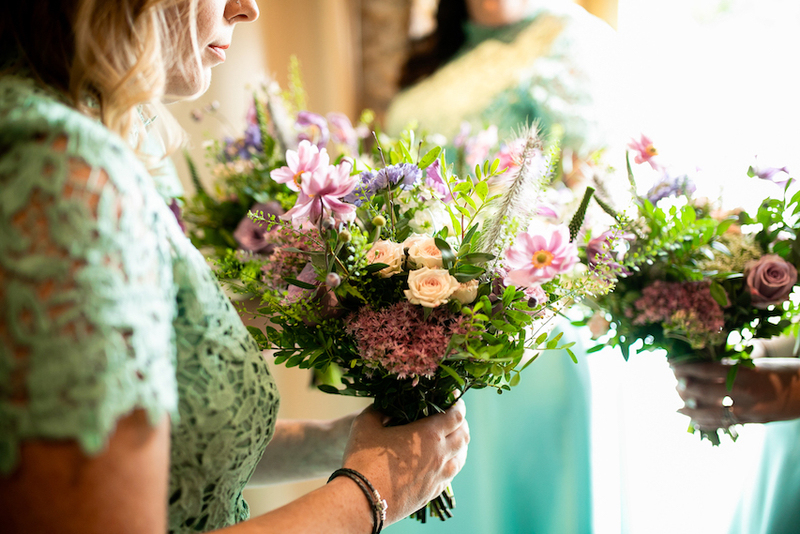 Dahlias, long associated with enduring grace and natural elegance - spray roses, stock, clematis and daisies became the natural stars of the bridal bouquet. Pistache, green bell, pittosporum and berries the nurturing support act. 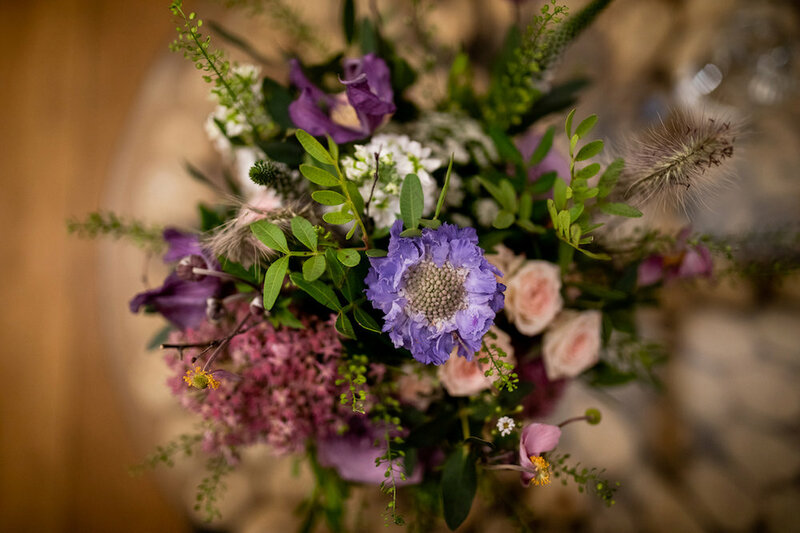 An ebullient round bouquet, made to look good from all angles, was loosely tied with ribbon and pins to fit the carefree style. The finished look; plush and plump. This abundant theme infused throughout; for the bridesmaids - domed dusty-pink poesies that stunningly offset their mint-tea dresses. 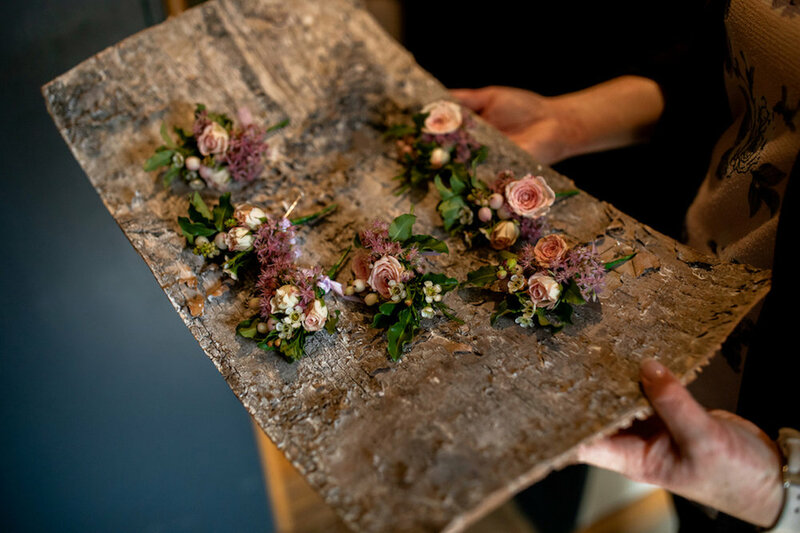 Miniature roses and berry flower crowns for the girls and buttonholes, made with tiny birch twigs, for the boys. All earned gasps of delight. Thank you for doing our flowers for our special day. They were absolutely amazing, better than we ever could have imagined. 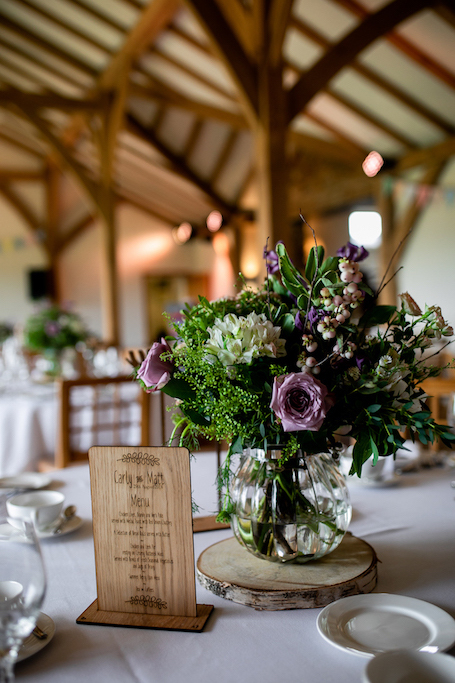 Overfilled pumpkin vases, no two the same, and a ceremonial table top in pinks and greens with splashes of citrus, dressed the barn beautifully. 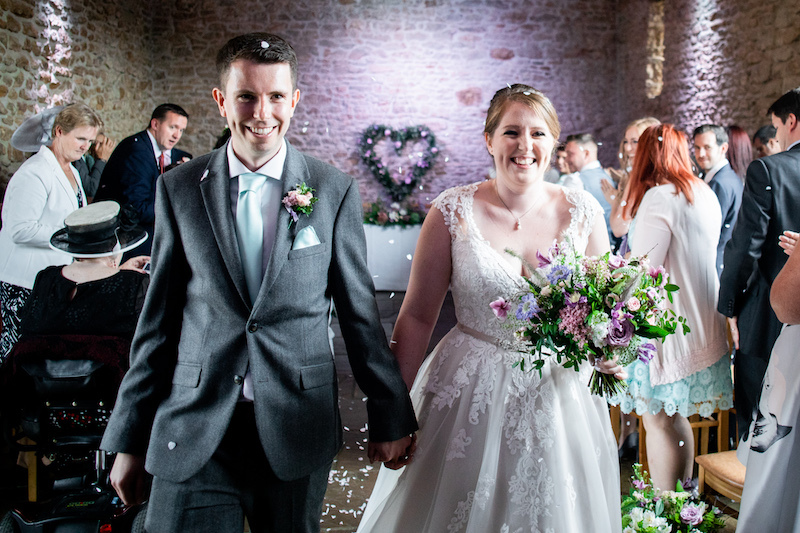 But it was the floral heart, 2.5 foot in diameter and smothered in roses and ruscus, that provided the perfect backdrop for this cosy couple. What a rural idyll this wedding turned out to be. Vintage, elegant, natural, my kind of rustic.